There was a time when not many athletes would wear eyewear that was designed to protect their eyes from sustaining any injuries. Things have really changed today because you will find athletes in all sports wearing protective eyewear. It does not matter if the athletes are young or older, little league stars or major league stars, sports eyewear has become very popular. In the beginning, many athletes, especially the younger ones resisted wearing sports eyewear because they did not want to stand out as the kid who wore glasses. No one wanted to look “weird” or “funny” because of eyeglasses. Fortunately, things have changed a significant amount when it comes to the styles and looks of eyeglasses. Eyeglasses have become an accepted part of our lives. Everywhere we go, we will see people who are wearing glasses for a variety of reasons. Child athletes and adult athletes can all appreciate the look and feel of protective eyewear. Another reason why so many athletes wear eyewear is because it gives them a serious look on the field or on the court. The emergency rooms have to treat thousands of eye injuries each year due to people not wearing the protective eyewear they need for their particular sport. Sports eyewear is not just for athletes who are participating in contact sports. Your eyes still need to be protected even if there does not seem to be any immediate threat. If you are participating in a sport that involves a ball, there will be a threat for a potential eye injury. 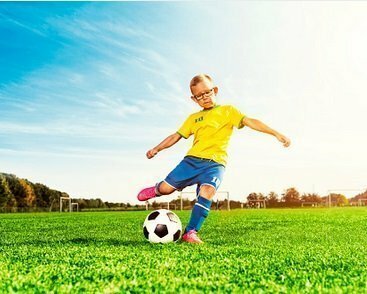 Some sports may not seem like they will bring you much harm, but when you are participating in sports that involve balls or other objects moving at a fast speed, you will need protective eyewear. Athletes, coaches, and parents are all aware of how important wearing eyewear is when it is time to play sports. The risk of sustaining an eye injury while playing sports will be greatly reduced when the athlete is wearing protective eyeglasses or goggles. The athlete’s performance will also be improved because he or she will have the ability to see clearer. Protective eyewear, especially prescription glasses, is very important for anyone who has a prescription. 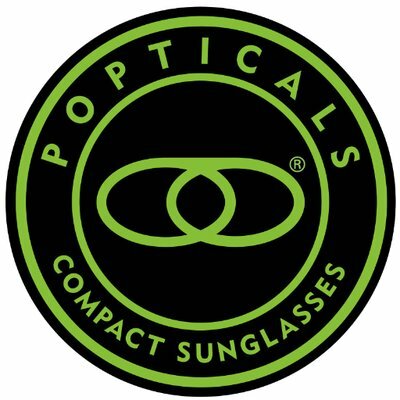 Just because someone needs prescription eyewear does not mean he or she will have to sit on the sidelines while all the action is occurring on or off the field. The Nike brand of prescription glasses come in a variety of shapes, sizes, and features. Many Nike prescription glasses are specifically designed for a particular sport which will give you the best protection you need. It does not matter if you are playing tennis, football, baseball, hockey, etc., Nike prescription glasses will have all the features you need whenever it is time for you to head to the court or the field. Many sports frames will be able to accommodate lenses that are either prescription or nonprescription. 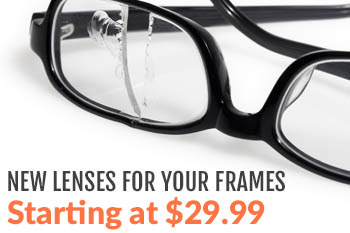 Sports lenses and sports frames are made of materials that are impact resistant and shatterproof. You will also find frames that have the padding and cushion you need to ensure that you will be comfortable at all times while you are playing. Before you choose prescription glasses, you will need to consider the type of sport that you are playing. Create a list of features that you would like in a pair of athletic eyewear, and search until you find the glasses you desire. You should be as comfortable as possible while you are playing, and you do not have to settle for less. If you are looking for prescription glasses for your sports-related needs, contact us today.